You have another boyfriend, don’t you? How’s Dora-chan? You do not get along anymore?? 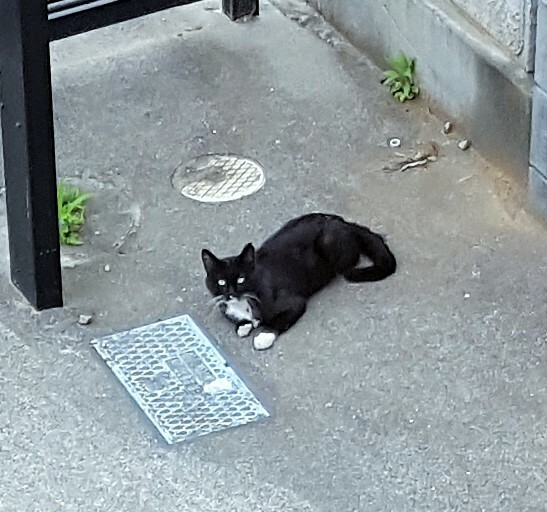 One of her last kittens looked like Kuro-chan I, a big guy with a black jacket and white socks. And Dora-chan sometimes visited our garden to say hello to the feeding mother. Now she seems to play and share meal with slimmer Kuro-chan II, putting on a longer black coat and a white bow-tie.